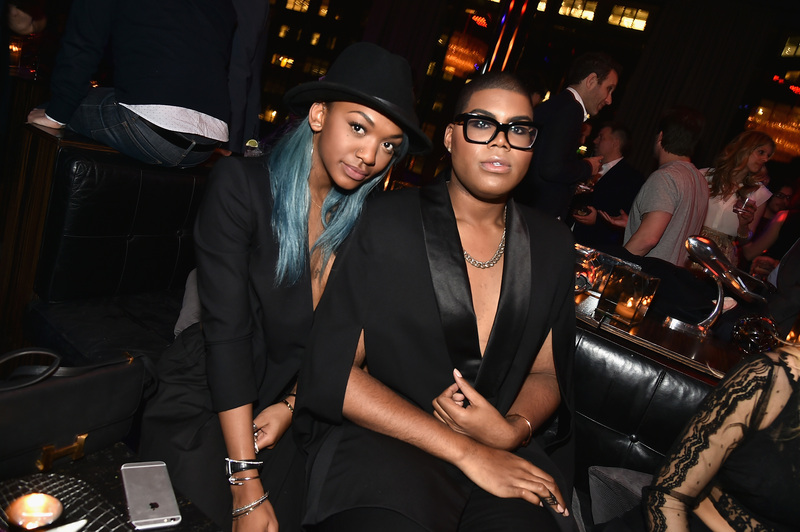 While it's disappointing that #RichKids of Beverly Hills Season 4 is coming to an end, it means that the premiere of Rich Kids EJ Johnson's spinoff, EJNYC, is on its way. And while EJ doesn't need any help making EJNYC amazing, he'll have it — EJ's sister, Elisa Johnson, will be his costar and his partner in crime on the new show. Elisa has appeared on Rich Kids of Beverly Hills before, and, she may be a little younger, but she's just as devastatingly chic as her brother. The best thing about having her on this spinoff is that Elisa is the only person who can get under her brother's skin. While EJ is almost always unflappable, Elisa isn't awed by his total fabulousness, since she knew her brother since he was just a totally fabulous little kid. And, while there's been a few glimpses of Elisa on Rich Kids, EJNYC will be the first time audiences really get to know her. That is, unless you've been following her on Instagram, in which case you're probably even more thrilled that she's finally getting the chance to shine in her own show. If you don't know much about Elisa Johnson, prepare to have a brand new wannabe BFF. While EJ will be moving back to New York City after spending time home in Los Angeles, Elisa was already living there — and maybe making her brother a little jealous. Now, they'll be back in the same city and prepared to live it up together the way they always did in L.A. on Rich Kids. In a New York Times article from 1996, EJ and Elisa's mother, Cookie Johnson, gave an interview about finding out that her husband, Magic Johnson, was HIV positive. In the interview, it's mentioned that while EJ is Cookie and Magic's biological child, Elisa was adopted. However, Elisa is treated no differently than EJ in the Johnson family. These two have a bond most siblings would be lucky to share. According to this EJNYC clip, somehow EJ and Elisa are in a love triangle with Elisa's boyfriend, who flirted with EJ, then started going out with Elisa. Sounds a little strange, especially because this whole thing went down while the Johnson siblings were in France. EJ is not the only member of the Johnson family who has impeccable fashion sense. In fact, I might even give Elisa a slight edge over her brother... her Instagram could double as the pages of Vogue. And this might help explain why Elisa is so fashion-forward — E! Online reported that she's currently a design student at the Fashion Institute of Technology. Whether she winds up becoming the next great designer, the next great supermodel, or just a undeniable trendsetter, fashion is certainly the place for Elisa. She's The Power Forward On "Team This"
EJ may technically be the star of EJNYC, but I don't think it would be half as entertaining if his little sister Elisa wasn't going to be a part of it. After all, she's technically an "EJ" in NYC too. Not only does her amazing style push her brother to be even more chic, she's also going to be a great costar because she knows EJ better than anyone.